The Mad Scientist — Villain or Hero? This week’s post was inspired by a series of drawings I found when trolling through results of a search on “Herbert West,” H.P. 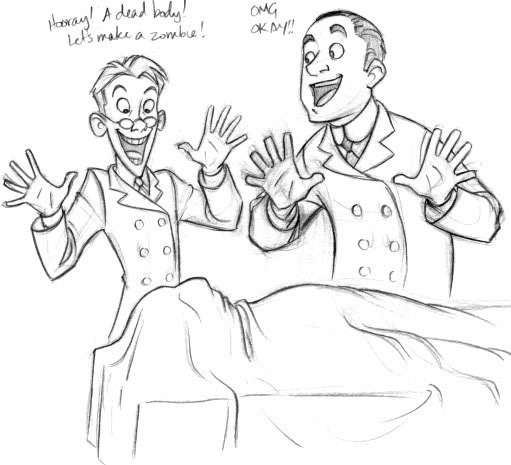 Lovecraft’s corpse re-animating physician. 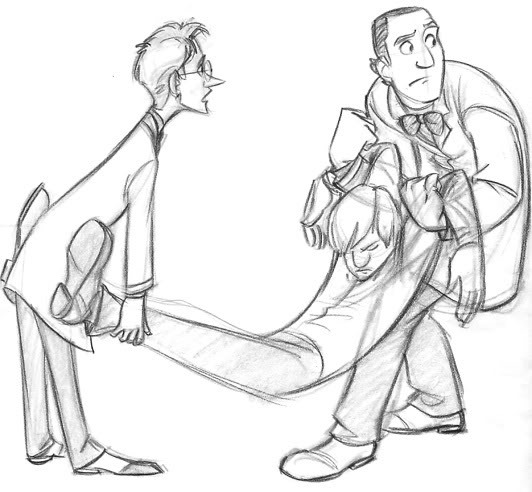 Anyone who has seen the Re-Animator movies starring Jeffrey Combs knows Herbert West as a syringe-wielding wacko, but a different, rather light-hearted view is presented by animator and illustrator Tealin. HPL tells us that West is a total rationalist, unmoved by emotion or superstition. Here he may be delivering a lecture. In H.P. Lovecraft’s story, the nameless narrator tells us that West is convinced that life can be restored to dead bodies, and, despite the prohibition on such experiments by Miskatonic University, where both he and West are medical students, West is determined to try it. (Check out those spats on Herbert! I’ve always thought of him as a sharp dresser). So now we’re in the lab, preparing to start the experiment. …and have a less than salubrious effect on the two experimenters. Of course, my interest in Herbert West is prompted by the fact that I have written three four novels in which he is the protagonist, exploring just this question: why would someone want to revivify corpses? Starting with Lovecraft’s character, I constructed a past for him, a family background and experiences that may provide answers. I named the nameless narrator “Charles Milburn,” making him a cataloguer at Miskatonic University’s Library. 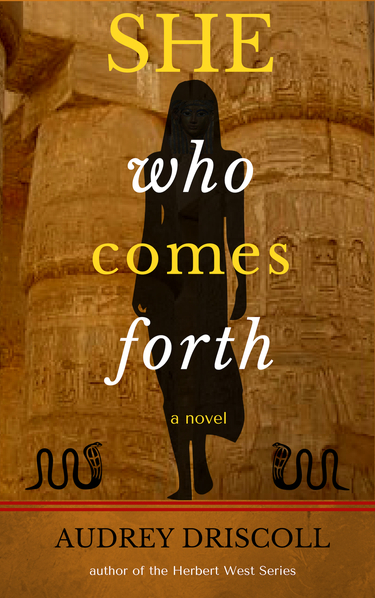 The result was my first novel, The Friendship of Mortals. I recently published Volume One of its sequel, Islands of the Gulf. And subsequently, two more, to form the Herbert West Series. More info here. I quite agree. 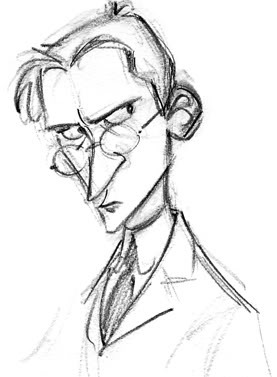 In my rendering of Herbert West, good and evil are definitely intertwined, which makes him endlessly fascinating. Herbert West — Villain or Brooding Hero? More of Tealin’s Herbert West drawings, and many others as well, can be found here. 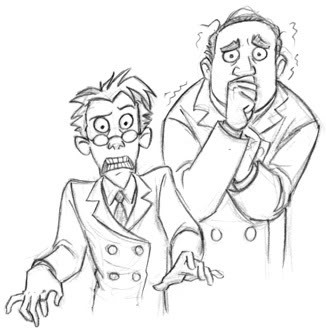 Very cool drawings… Herbert is pretty much as you describe him in your books, Audrey. A fascinating character, and a great read. Keep writing! This made me laugh because I imagined him as a much more dark person, but you picture him as a adorable and enthusiastic physician. I really liked this drawings, their expressions are just great. Exactly! When I ran across Tealin’s pictures of Herbert West, I was delighted. 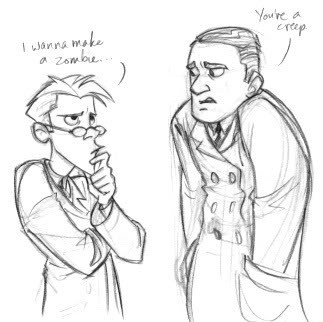 She has drawn him in keeping with the original Lovecraft story, rather than the Re-Animator movies. 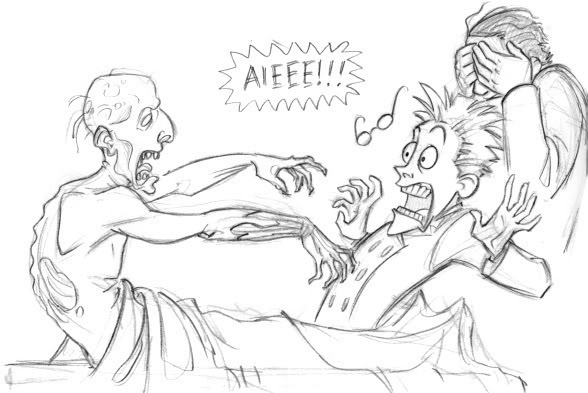 Corpse reanimating isn’t something most people would want to do, that’s true. 🙂 I thought Tealin’s take on Herbert West to be more fun than the splattergore of the movie Re-Animator. 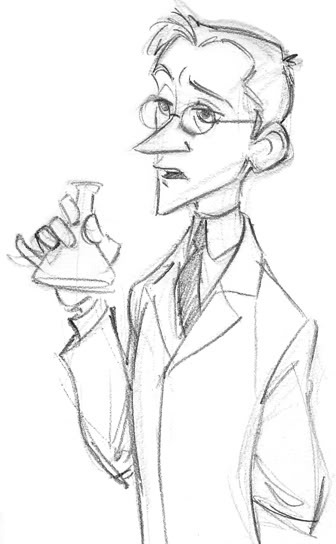 In his own mind, the mad scientist is always the good guy, making the world better with science, even if he purges half the population to do it. 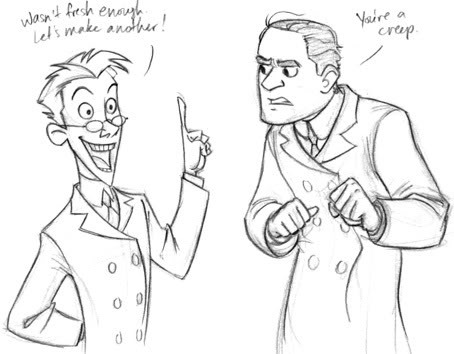 Which is why mad scientists are almost always villains. I decided to take a different route with my character (over the course of 4 books), but he did start out with the typical attitude. Thank you for giving a librarian (particularly a cataloger) a non-stereotypical role. I named the nameless narrator “Charles Milburn,” making him a cataloguer at Miskatonic University’s Library. The result was my first novel, The Friendship of Mortals. Having been a cataloguer for 30+ years in both an academic and a public library, I began to see us as a kind of esoteric society (with a bit of a persecution complex, I admit). Someone has to organize the world! They are good! She’s really caught the spirit of the HPL story (with a humorous twist). I appreciate this take on Herbert West more than the cult movie Re-Animator, which I found rather coarse-grained.